Wearable devices put extreme demands on the embedded electronics that make them work. Devices spanning across the consumer, fitness and medical markets all need a mix of low-power, low-cost and high-speed processing. Designers of new wearable, connected devices are struggling to extend battery life for next-generation products, while at the same time increasing functionality and performance in smaller form factors. These devices include a variety of products such as smartwatches, physical activity monitors, heart rate monitors, smart headphones and more. 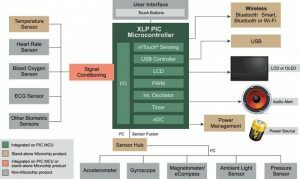 The microcontrollers embedded in these devices must blend extreme low power with high integration. Meanwhile, analog and power solutions for wearables must likewise be highly integrated while serving up low quiescent currents. Modern wearable electronic devices all share some common requirements. 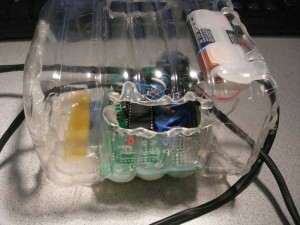 They have an extremely low budget for power consumption,. They tend not to be suited for replaceable batteries and therefore must be rechargeable. They also usually require some kind of wireless connectivity. To meet those needs chip vendors—primarily from the microcontroller and analog markets—keep advancing solutions that consume extremely low levels of power and manage that power. This technology vendors are tasked to keep up with a wearable device market that IDC forecasts will experience a compound annual growth rate (CAGR) of 18.4% in 2020. Following all those trends at once is Cypress Semiconductor’s PSoC 6 BLE. 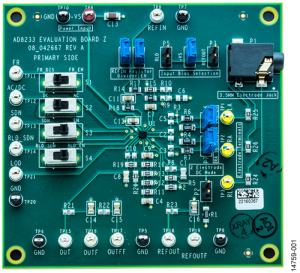 In September the company made its public release of the PSoC 6 BLE Pioneer Kit and PSoC Creator Integrated Design Environment (IDE) software version 4.2 that enable designers to begin developing with the PSoC 6. The PSoC 6 BLE is has built-in Bluetooth Low Energy (BLE) wireless connectivity and integrated hardware-based security. According to Cypress, the company had more than 2,500 embedded engineer customers registering for the PSoC 6 BLE early adopter program in just a few months. Early adopters are using the flexible dual-core architecture of PSoC 6, using the ARM Cortex-M4 core as a host processor and the Cortex-M0+ core to manage peripheral functions such as capacitive sensing, BLE connectivity and sensor aggregation. Early adopter applications include wearables, personal medical devices, wireless speakers and more. Designers are also using the built-in security features in PSoC 6 to help guard against unwanted access to data. The PSoC BLE Pioneer Kit features a PSoC 63 MCU with BLE connectivity (Photo 1). The kit enables development of modern touch and gesture-based interfaces that are robust and reliable with a linear slider, touch buttons and proximity sensors based on the latest generation of Cypress’ CapSense capacitive-sensing technology. Designers can also use the board to add USB Power Delivery (PD) with its Cypress EZ-PD CCG3 USB-C controller. 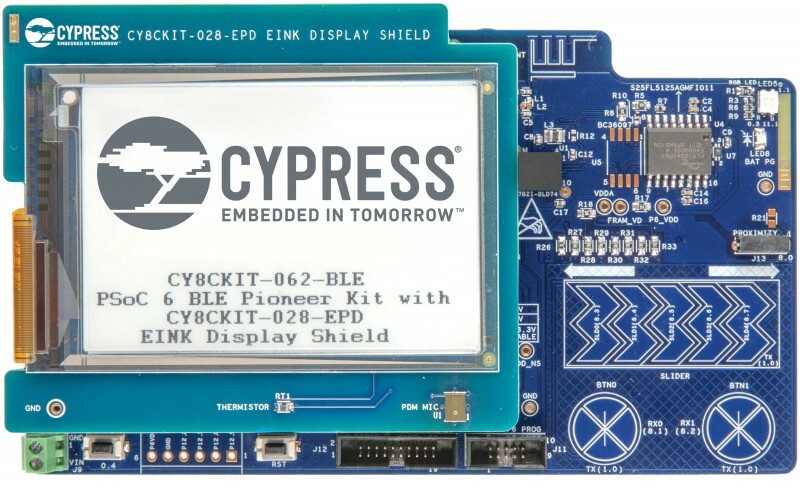 The development kit also includes a 2.7-inch E-ink Display Shield add-on board (CY8CKIT-028-EPD) with thermistor, digital mic and 9-axes motion sensor. The PSoC BLE Pioneer Kit features a PSoC 63 MCU with BLE connectivity. The kit enables development of modern touch and gesture-based interfaces that are robust and reliable with a linear slider, touch buttons and proximity sensors based using Cypress’ CapSense capacitive-sensing technology. Extreme low power was also the theme behind Microchip Technology’s PIC32MX1/2 XLP family that the company announced in June. The 33-bit PIC32MX1/2 XLP offers current PIC32MX system developers an easy migration path to achieve higher performance at much lower power. It enables both increased functions and longer battery life in portable applications. According to Microchip, the new MCU family increases performance in small pin-count devices with little code rework for existing customers. Microchip’s XLP technology is designed for wearable technology, wireless sensor networks and other smart connected devices and offers low current operating modes for Run and Sleep, where extreme low-power applications spend 90% to 99% of their time. XLP technology will enable Sleep and Deep Sleep shutdown states on the PIC32MX1/2 XLP devices, enabling Deep Sleep currents down to 673 nA. The devices offer over 40% more performance than the existing PIC32MX1/2 portfolio while reducing average currents by 50%. Figure 1 shows an XLP MCU used in a health/fitness wearable application. Figure 1 Shown here is a Microchip XLP MCU used in a health and fitness wearable application. The PIC32MX1/2 XLP family is available in a range of memory configurations with 128/256 kB flash and 32/64 kB of RAM in packages ranging from 28- to 44-pins. They also include a diverse set of peripherals at a low cost including I2S for digital audio, 116 DMIPS performance for executing audio and advanced control applications, a 10-bit, 1 Msps, 13-channel ADC and serial communications peripherals. The PIC32MX2 series also supports USB-device, host and OTG functionality. In addition to the hardware peripheral features, the series is supported by Microchip’s MPLAB Harmony Software Development Framework, which simplifies development cycles by integrating the license, resale and support of Microchip and third-party middleware, drivers, libraries and RTOSes. Specifically, Microchip’s readily available software packages such as Bluetooth audio development suites, audio equalizer filter libraries, decoders (including AAC, MP3, SBC), sample rate conversion libraries and USB stacks will reduce the development time of wearable device applications. Among the new features of some wearable devices is the ability to do contactless transactions. Today’s consumers have become quite comfortable with making secure transactions using their smart devices. As a result, traditional card manufacturers want to extend their offerings into contactless wearable products for uses such as payments, ticketing and access control. 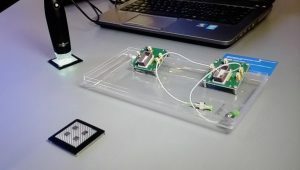 These can be difficult to implement within tight size and cost constraints, because conventional separate NFC-radio and security chips demand extra space and complicate design. In addition, wearable form factors tend to need small antennas that can restrict communication performance. 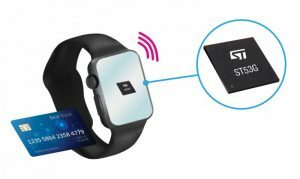 Supporting those capabilities in wearables, ST Microelectronics in October unveiled its technology for easy and secure contactless transactions using electronic wristbands or fashionwear like watches or jewelry. The ST53G System-in-Package solution combines the company’s expertise in Near Field Communication (NFC) and secure-transaction chips. ST’s new ST53G System-in-Package combines a miniaturized and enhanced NFC radio with a secure banking chip in one compact 4 mm x 4 mm module (Figure 2). The company’s proprietary boosted-NFC technology enables wearables with small antennas to deliver a great user experience when interacting with card readers over typical contactless distances. ST’s ST53G System-in-Package combines a miniaturized and enhanced NFC radio with a secure banking chip in one compact 4 mm x 4 mm module. The simplicity of this all-in-one module helps card enables embedded developers to quickly design functional and attractive wearables that can range from fashion items to one-time devices like event wristbands. ST offers an extensive development ecosystem, including radio-tuning tools and pre-defined antenna configurations. The ST53G meets all relevant card-industry standards, including EMVCo compliance, ISO/IEC-14443 NFC card emulation, and MIFARE ticketing specifications. The ST53G can host ready-to-use STPay smartcard operating systems and optional VISA/ Mastercard/JCB-certified banking applications pre-loaded on the secure microcontroller. The secure banking chip contained in the ST53G System-in-Package leverages ST’s proven ST31G480 secure microcontroller that is based on the ARM SC000 SecurCore processor. It features a secure architecture with a NESCRYPT coprocessor for public-key cryptography and hardware accelerators for algorithms like AES and triple-DES. Extensive anti-tamper protection including an active shield, environmental monitoring, a unique serial number for each die and protection against numerous other attacks are also built-in. These features complement software-based security running on the SC000 core to ensure the strongest possible protection for users’ credentials. The contactless IC is the STS3922 RF booster, which uses active-load modulation (ALM) to maximize transaction range and omnidirectional radio performance in card-emulation mode. This enables wearable devices to be easy to use—with equal or better device-to-reader positioning tolerance than conventional contactless smartcards—even though a smaller antenna is used. Using ST53G contributes to final device cost optimization because small antennas can be etched onto the PCB at almost zero additional cost. In some cases, a challenging metallic case can itself be used as part of the RF antenna. Automatic power and gain control, configurable sensitivity, and configurable signal/reader-field phase difference ensure consistent communication over all ranges. These enhance smooth interoperability with different types of readers and terminals including various transportation ticketing systems. The STS3922 has a dedicated secure-MCU wake-up output. That feature enables the ST53G System-in-Package to maximize battery life by powering down when not in use. 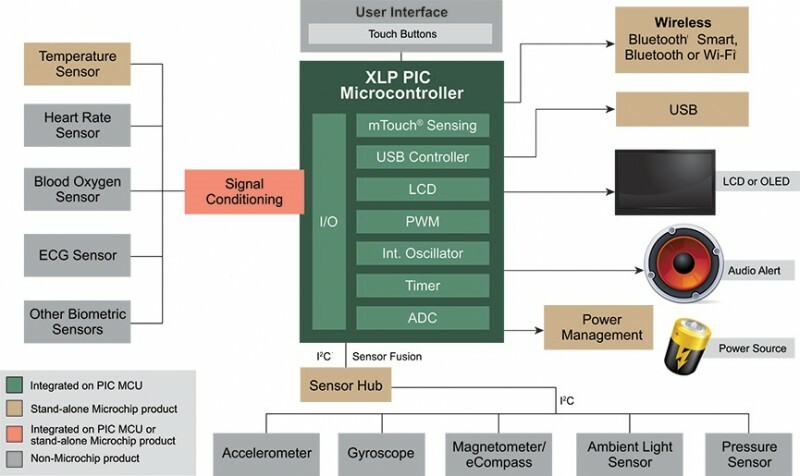 Designing today’s wearable devices requires not just low power on the MCU side. They also require sophisticated analog IC solutions that help regulate power and extend battery life as much as possible. 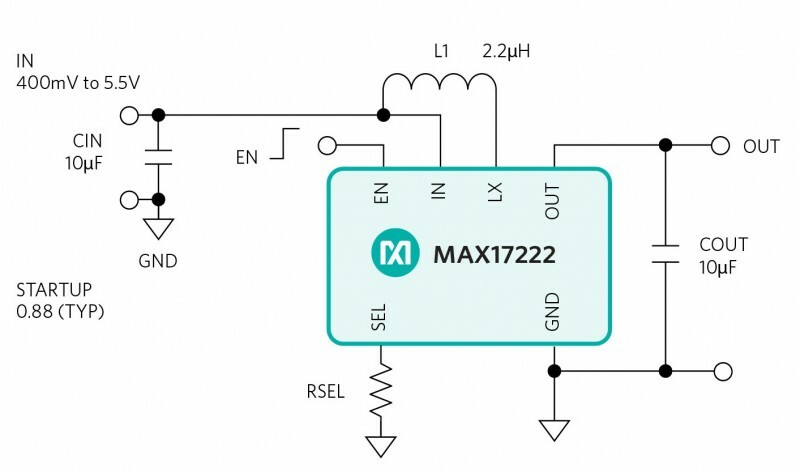 Along those lines, Maxim Integrated in March announced its the MAX17222 nanoPower boost regulator with what the company claims is the industry’s highest efficiency and lowest quiescent current (IQ) of only 300 nA (Figure 3). The 0.4V to 5.5V input, 1.8V to 5V output boost regulator with 500 mA input current limit reduces solution size by up to 50% compared to similar products and offers 95% peak efficiency to minimize heat dissipation. 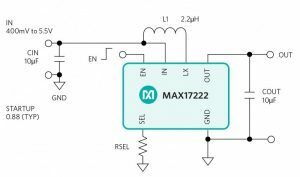 The MAX17222 boost regulator offers a low quiescent current of 300 nA, 0.4V to 5.5V input, 1.8V to 5V output and 500 mA input current limit. Aside from very low quiescent current, the MAX17222 also minimizes heat dissipation and shutdown current. In True Shutdown mode, the minuscule current draw of 0.5 nA virtually stops battery drain to provide the longest battery life and eliminate the need for external disconnect switches. The MAX17222 is internally compensated and requires only a single configuration resistor and small output filter for a full power solution. For ease of use, the boost regulator comes in tiny, density-optimized 0.88 mm x 1.4 mm 6-bump WLP and 2 mm x 2 mm 6-pin standard µDFN packages. It operates over a -40°C to +85°C temperature range. Health monitoring wearable devices have their own particular analog design challenges. 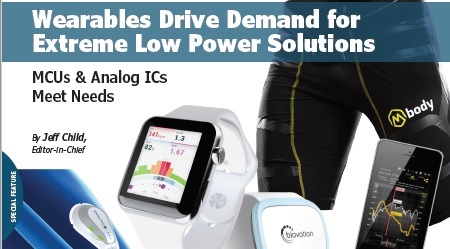 Targeting such needs, Analog Devices offers a low power, next-generation biopotential analog front end (AFE) which enables smaller, lighter and less obtrusive cardiac monitoring devices with longer battery life. The AD8233 AFE is a fully integrated, single-lead electrocardiogram (ECG) front end designed in one compact, easy-to-use component. Typically, developers need to design ECG front ends from individual components, which can add incremental cost and design time. The highly integrated, out-of-the-box AD8233 AFE eliminates these unnecessary costs and extra time, helping developers get products to market more quickly. Additionally, the device’s 2.0 mm × 1.7 mm size enables the design of wearable health devices that are smaller, lighter and easier to wear. Bulky, heavy and obtrusive monitors can be unpleasant for patients to wear and may even interfere with their everyday lives. Longer battery life is another crucial attribute for cardiac monitors and is vital to ensure continuous monitoring that provides accurate data without the interruption of a recharge or battery replacement. The AD8233 AFE’s low microamp-range power consumption results in greatly extended battery life. Along with its small size, the single-supply (1.7 V to 3.5 V) AD8233 features extremely low quiescent current of 50 μA (typical); lead on/off detection even while in shutdown mode (less than 1 μA); and 80-dB common-mode rejection ratio (DC to 60 Hz). Electrical noise, a critical specification for cardiac-monitoring devices, is below 10 μV from 0.5 to 40 Hz. The AD8233 also allows for highly flexible filter configurations which are essential to consistent, confident operation in an inherently harsh electrical environment under a range of use cases. These configuarations include a two-pole adjustable high-pass filter, a three-pole adjustable low-pass filter with adjustable gain and an RFI filter. For ease-of-use and flexibility, it also includes an integrated right leg drive (RLD) amplifier with shutdown plus an uncommitted op amp. Analog Devices also offers an evaluation board, reference design, web based filter design tool and Spice model to facilitate design-in and speed time to market. The AD8233CB-EBZ evaluation board contains an AD8233 heart rate monitor (HRM) front end conveniently mounted with the necessary components for initial evaluation in fitness applications (Photo 2). Inputs, outputs, supplies and leads off detection terminals are routed to test pins to simplify connectivity. Switches and jumpers are available for setting the input bias voltage, shutdown (SDN), right leg drive shutdown (RLD SDN), fast restore (FR) and AC/DC leads off detection mode. 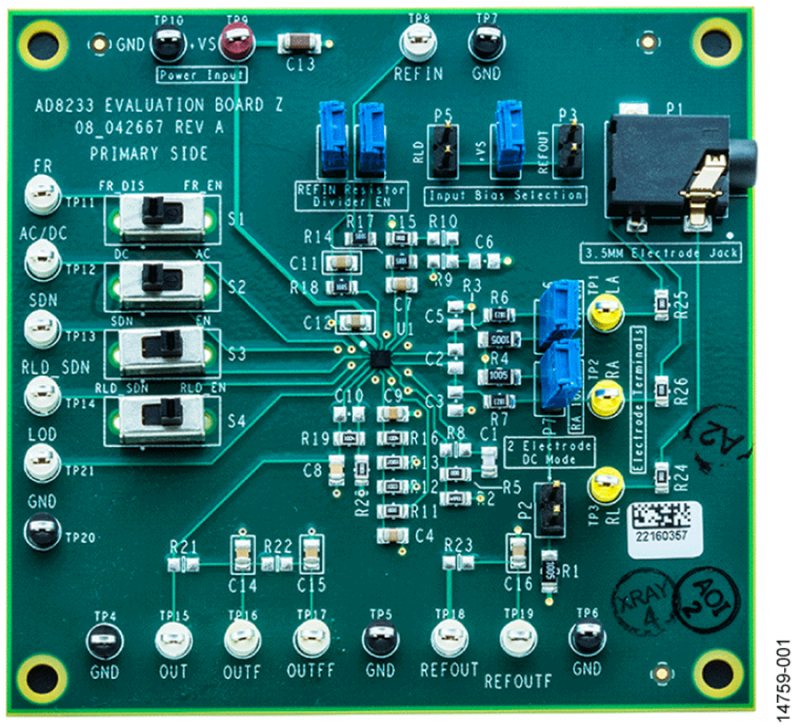 The AD8233CB-EBZ evaluation board is a 4-layer board with components mounted on the primary side only. Rubber feet are available on the secondary side for mechanical stability. The layout diagrams are provided as a visual aid and reference design. The AD8233CB-EBZ evaluation board contains an AD8233 heart rate monitor (HRM) front end conveniently mounted with the necessary components for initial evaluation in fitness applications. Seamless wireless connectivity has pretty much become a given for today’s wearable devices. With that in mind, Cypress Semiconductor in September announced a new combo solution that delivers ultra-low power Wi-Fi and Bluetooth connectivity to extend battery life for wearables and portable audio applications. The new Cypress CYW43012 solution prolongs battery life by leveraging 28 nm process technology to cut power consumption up to 70% in receive mode and up to 80% in sleep mode when compared to current solutions. The solution is IEEE 802.11a/b/g/n-compliant and 802.11ac-friendly, meaning it is interoperable with 802.11ac access points using standard modes. This enables it to offer higher throughput and better energy efficiency, along with the enhanced security and coverage of 802.11ac Wi-Fi networks. The CYW43012 combo chip’s advanced coexistence engine enables optimal combined performance for dual-band 2.4- and 5-GHz Wi-Fi and dual-mode Bluetooth/BLE 5.0 applications simultaneously. The CYW43012 solution is supported in Cypress’ all-inclusive, turnkey, WICED Studio IoT development platform, which streamlines the integration of wireless technologies for developers. According to Cypress, battery life is a key differentiator for connected devices like wearables. Users demand a great connected experience for longer without having to recharge. The Cypress WICED Studio IoT development platform features an integrated and interoperable wireless software development kit (SDK). The SDK includes broadly deployed and rigorously tested Wi-Fi and Bluetooth protocol stacks, as well as simplified application programming interfaces that free developers from needing to learn complex wireless technologies. In line with the IoT trend toward dual-mode connectivity, the SDK supports Cypress’ Wi-Fi and Bluetooth combination solutions and its Bluetooth and Bluetooth Low Energy devices. The SDK enables cloud connectivity in minutes with its libraries that integrate popular cloud services such as Amazon Web Services, IBM Bluemix, Alibaba Cloud and Microsoft Azure, along with services from private cloud partners. WICED also supports iCloud remote access for Wi-Fi-based accessories that support Apple HomeKit, which enables hub-independent platforms that connect directly to Siri voice control and the Apple Home app remotely. 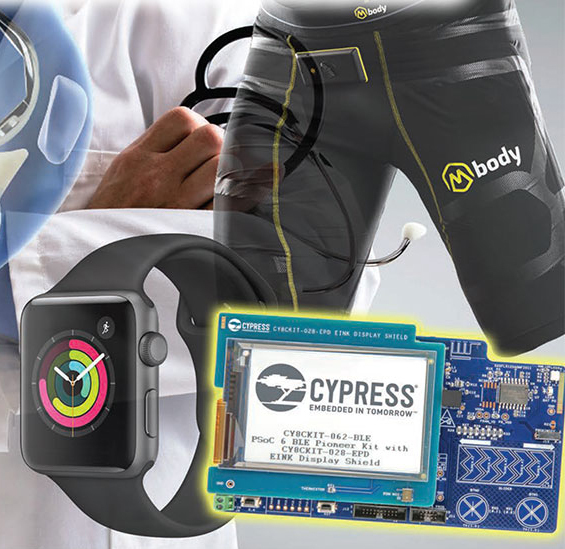 Cypress’ WICED Studio connectivity suite actually is MCU-agnostic and provides support for a variety of third-party MCUs to address the needs of complex IoT applications. The platform also enables cost-efficient solutions for simple IoT applications by integrating MCU functionality into the connectivity device. Wi-Fi and Bluetooth protocol stacks can run transparently on a host MCU or in embedded mode, allowing for architectures with common firmware. As consumers push for more capabilities in their wearable products, they won’t tolerate any reduction in battery life. Along the way, wireless connectivity and embedded security will have to be supported. These conflicting trends will continue to challenge MCU and analog IC vendors to come up with more integrated solutions at ever lower power consumption levels. These Cornell graduates designed a low-cost massage vest that pairs seamlessly with a custom iOS app. Using the Microchip PIC32 for its brains, the massage vest has sixteen vibration motors that the user can control to create the best massage possible. As technology continues to make its way into every aspect of our lives, we are increasingly bombarded with more information and given more tools to organize our busy days. For our final project in the Digital Design Using Microcontrollers class at Cornell University, we sought to build technology to help us slow down, enjoy the moment and appreciate our senses. With that in mind, we built a low-cost massage vest that pairs seamlessly with a custom iOS app. The massage vest embeds 16 vibration motors and users can control the vest to create the most comfortable and soothing massage possible. The user first provides their input through the iOS app, which allows for multiple input modes—including custom or preset. 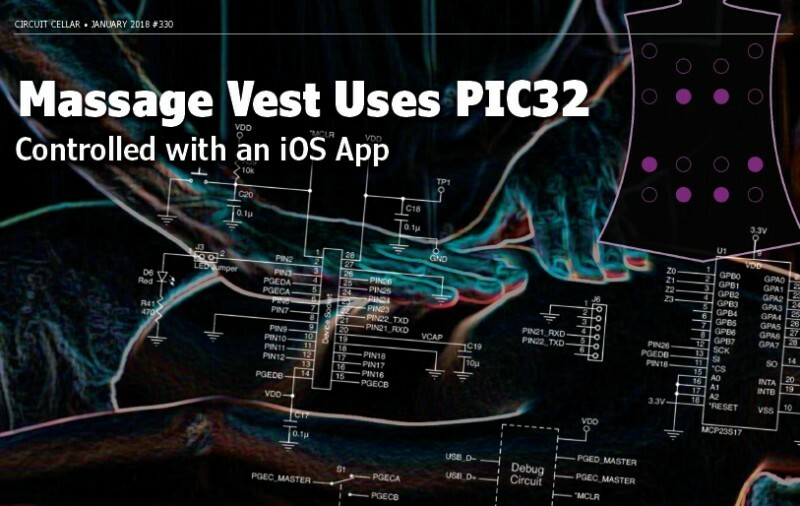 The iOS app communicates to a PIC32 microcontroller via a Bluetooth Low Energy (BLE) module and ultimately the PIC32 turns on the vibration motors to complete the user’s requests. A block diagram is shown in Figure 1. Throughout the massage, users can update their settings to adjust to their desires. The complete massage vest costs less than $100—competitive with mass produced massage vests. Massage vests have historically been used for both pleasure and therapeutic purposes. Several known iOS-controlled massage vests include the iMusic BodyRhythm from iCess Labs and the i-Massager from E-Tek—both presented at the Consumer Electronics Show (CES) in 2013. The former syncs a massage to music for the user’s enjoyment, while the latter provides Transcutaneous Electrical Nerve Stimulation (TENS) as a certified medical device to relieve chronic pain. A group of Cornell students also won an Innovation Award in 2013 from the Cornell University School of Electrical and Computer Engineering for a massage vest called the Sonic Destressing Vest. The Sonic Destressing vest claimed to reduce the serum cortisol levels of its users, potentially reducing the risk of heart disease and depression—among many other chronic issues related to high serum cortisol levels. Those three vests motivated us to build a multi-purpose massage vest that could be extended to provide the particular features of those vests if desired—serving an existing base of users. The amazing properties of graphene have researchers, students, and inventors dreaming about exciting new applications, from unbreakable touchscreens to fast-charging batteries. Graphene gained popularity because of the way it is produced—the “Scotch tape method.” In fact, two scientists, Andre Geim and Kostya Novoselov, received a Nobel Prize in 2004 for their work with the material. Their approach is straightforward. Using Scotch tape, they repeatedly removed small layers of graphite (indeed, the black stuff found in pencils) until there was only one 2-D layer of atoms left—graphene. Up to that point, many scientists understood the promise of this wonderful material, but no one had been able to get obtain a single layer of atoms. After the breakthrough, many universities started looking for graphene-related applications. Innovative graphene-related research is underway all over the world. 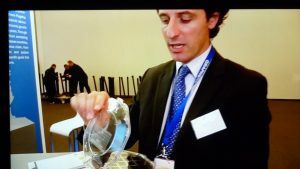 Today, many European institutes and universities work together under the Graphene Flagship initiative (http://graphene-flagship.eu), which was launched by the European Union in 2009. The initiative’s aim is to exchange knowledge and collaborate on research projects. High-speed data communication comes in all sizes and infrastructures. But on the small scale, there are many challenges. Graphene enables new optical communication on the chip level. A consortium of CNIT, Ericsson, Nokia, and IMEC have developed graphene photonics integration for high-speed transmission systems. 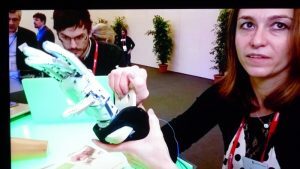 At MWC, they showcased a packaged graphene-based modulator operating over several optical telecommunications bands. I saw the first package transmitters with optical modulators based on graphene. The modulator is only one-tenth of a millimeter. The transfer capacity is 10 Gbps, but the aim is to bring that to 100 Gbps in a year’s time. The applications will be able to play a key role in the development of 5G technology. More information: www.cnit.it/en/. Health care is one of the most promising areas for employing wearable devices. Wearable mobile health sensors can track activities (e.g., count steps or caloric expenditure), monitor vital signs including heart rate and blood pressure, measure biometric data (e.g., glucose levels and weight), and provide alerts to medical emergencies including heart failures, falls, and shocks. Applying wearable computing to support mobile health (mHealth) is promising but involves significant risks. For instance, there are security issues related to the reliability of the devices and sensors employed, the accuracy of the data collected, and the privacy of sensitive information. 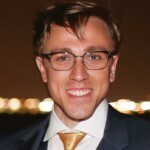 Under the federally funded Amulet project, an interdisciplinary team of Dartmouth College and Clemson University researchers is investigating how wearable devices can effectively address medical problems while ensuring wearability, usability, privacy, and security for mHealth applications. The project aims to develop pieces of “computational jewelry” and a software framework for monitoring them. This computational jewelry set comprises wearable mobile health devices collectively named Amulet. An Amulet device could be worn as a discreet pendant or bracelet that would interact with other wearable health sensors that constitute the wearer’s wireless body-area network (WBAN). 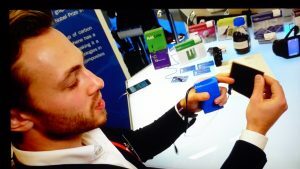 The Amulet device would serve as a “hub,” tracking health information from wearable health sensors and securely sending data to other health devices or medical professionals. The project’s goals are multifold. Regarding the hardware, we’re focusing on designing small and unobtrusive form factors, efficient power sources, and sensing capabilities. With respect to the software, we’re concentrating on processing and interpreting the digital signs coming from the sensors, effectively communicating and synchronizing data with external devices, and managing encrypted data. Amulet’s multiprocessor hardware architecture includes an application processor that performs computationally intensive tasks and a coprocessor that manages radio communications and internal sensors. Amulet’s current prototypes contain an accelerometer and a gyroscope to monitor the wearer’s motion and physical activities, a magnetometer, a temperature sensor, a light sensor, and a microphone. To save power, the application processor is powered off most of the time, while the coprocessor handles all real-time device interactions. By employing event-driven software architecture, Amulet enables applications to survive routine processor shutdowns. Amulet is reactive, running only when an event of interest occurs. To handle such events, programmers can define their application as a finite-state machine and set appropriate functions. Amulet’s architecture enables applications to identify the computational states that should be retained between events. Explicitly managing program state (rather than implicitly managing state in a thread’s run-time stack) enables the run-time system to efficiently save the application state to persistent memory and power down the main processor without harming applications. Amulet provides a secure solution that ensures the accuracy and the integrity of the data sensed and transmitted, continuous availability of the services provided (e.g., data sensing and processing and sending alerts and notifications), and access to the device’s data and services only by authorized parties after their successful authentication. Two key features enable Amulet to provide security in mHealth applications: sandboxing and the authorization manager. The former enforces access control, protects memory, and restricts the execution of event handlers. The latter enables applications to run small tasks until their completion, managing all resources by receiving requests and forwarding them to a corresponding service manager. Amulet also aims to protect privacy, enabling users to control what is sensed and stored, where it is stored, and how it is shared (with whom). Amulet devices use privacy policies to protect patients’ sensitive information, which ensures confidentiality through authorized access and controlled sharing. To guarantee easy wearability, the Amulet team focuses on understanding the user’s wishes, needs, and requirements and translating them into appropriate design decisions. Amulet provides a list of principles and guidelines for wearability, which will aid designers in providing high levels of comfort, aesthetics, ergonomics, and discretion in their projects. Amulet includes a framework to support stakeholders involved in similar projects during all phases of development. It is intended to aid developers and designers from industry or academia. 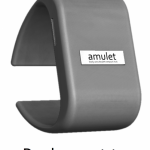 Amulet provides a general-purpose solution for body-area mobile health, complementing the capabilities of a smartphone and facilitating the development of applications that integrate one or more mHealth wearable devices. Amulet also provides intuitive interfaces and interaction methods for user input and output, employing multimodal approaches that include gestures and haptics. 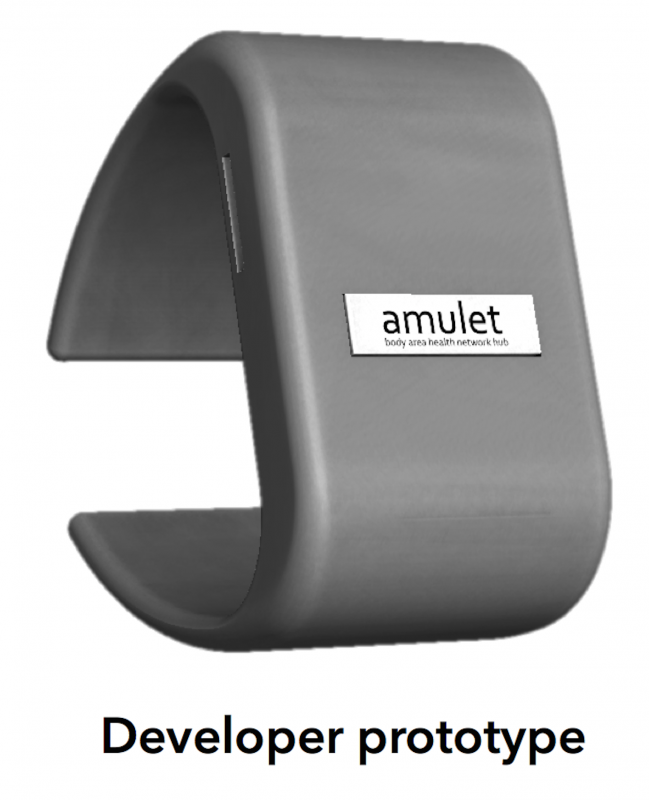 Amulet has developed and continues to refine bracelet-style prototypes with a variety of envisioned applications, including: emergency responders (e.g., providing immediate notifications and quick responses in medical emergencies), stress monitoring, smoking cessation, diet (e.g., bite counting), and physical therapy (e.g., knee sensors). 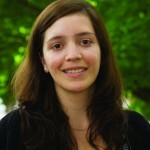 Dr. Vivian Genaro Motti holds a PhD in Human Computer Interaction from the Université catholique de Louvain in Belgium. She is a Postdoctoral Research Fellow in the School of Computing at Clemson University in Clemson, SC. She works on the Amulet project, which is funded by a three-year, $1.5 million grant from the National Science Foundation’s Computer Systems Research program. As part of the Amulet project, Vivian is investigating how to properly ensure wearability and privacy in wearable applications for mobile health. 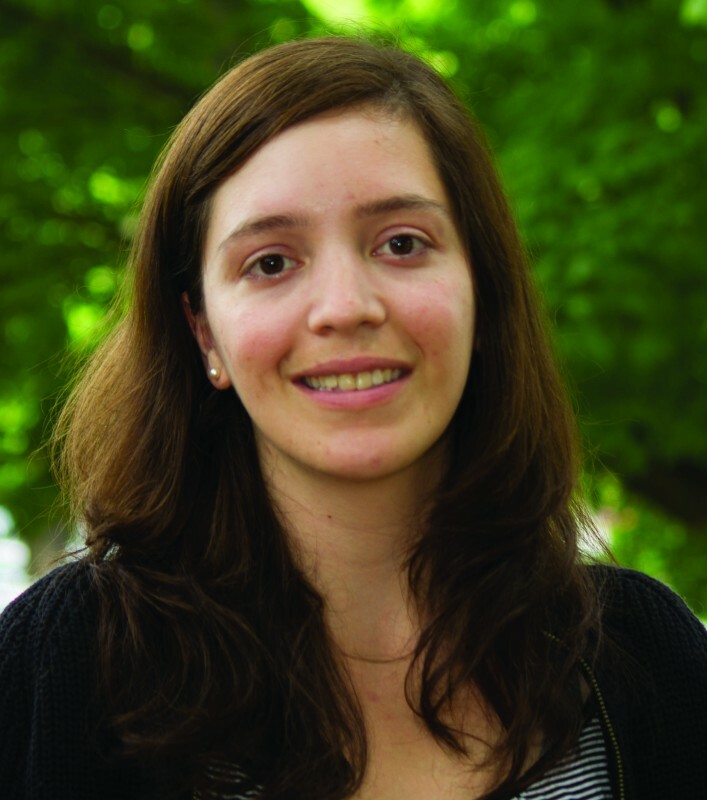 Vivian has a BA in Biomedical Informatics and an MS in Human Computer Interaction from University of Sao Paulo in Brazil. Her main research interests are human computer interaction, medical applications, wearable devices and context awareness. This appears in Circuit Cellar 288, July 2014. NAN: You are currently working toward your Electrical Engineering PhD at the University of California, Berkeley. Can you describe any of the electronics projects you’ve worked on? 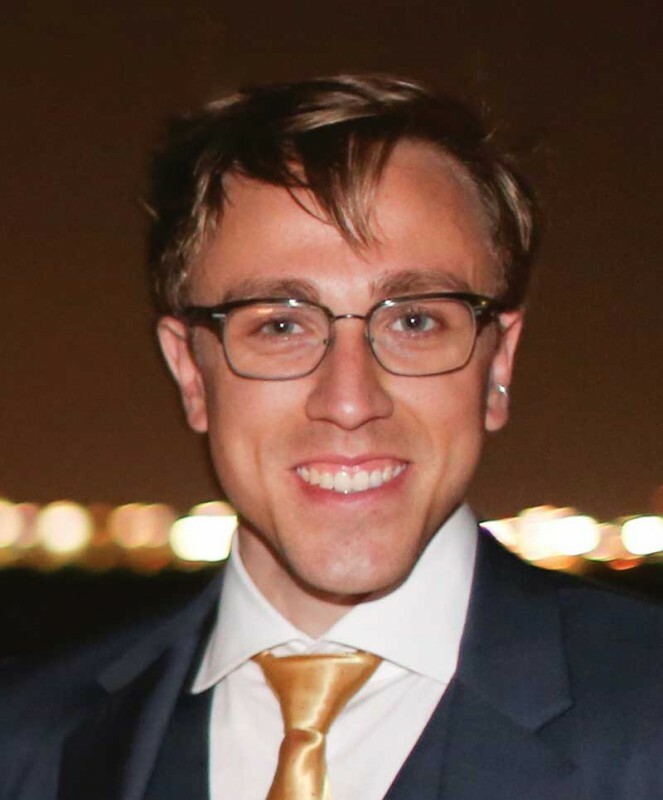 ANDREW: In my final project at Cornell University, I worked with a friend of mine, Nathan Ward, to make wearable wireless accelerometers and find some way to translate a dancer’s movement into music, in a project we called CUMotive. The computational core was an Atmel ATmega644V connected to an Atmel AT86RF230 802.15.4 wireless transceiver. We designed the PCBs, including the transmission line to feed the ceramic chip antenna. Everything was hand-soldered, though I recommend using an oven instead. We used Kionix KXP74 tri-axis accelerometers, which we encased in a lot of hot glue to create easy-to-handle boards and to shield them from static. This is the central control belt-pack to be worn by a dancer for CUMotive, the wearable accelerometer project. An Atmel ATmega644V and an AT86RF230 were used inside to interface to synthesizer. The plastic enclosure has holes for the belt to attach to a dancer. Wires connect to accelerometers, which are worn on the dancer’s limbs. I was excited about designing PCBs for 802.15.4 radios and making them work. I was also enthusiastic about trying to figure out how to make some sort of music with the product. We programmed several possibilities, one of which was a sort of theremin; another was a sort of drum kit. I found that this was the even more difficult part—not just the making, but the making sense. When I got to Berkeley, my work switched to the theoretical. I tried to learn everything I could about robotic systems and how to make sense of them and their movements. NAN: Describe the real-time machine vision-tracking algorithm and integrated vision system you developed for the “Are We There Yet?” installation. ANDREW: I’ve always been interested in using electronics and robotics for art. Having a designated emphasis in New Media on my degree, I was fortunate enough to be invited to help a professor on a fascinating project. 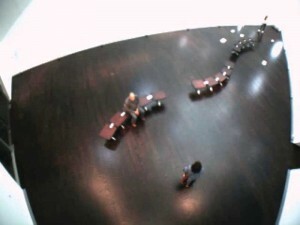 This view of the Yud Gallery is from the installed camera with three visitors present. Note the specular reflections on the floor. They moved throughout the day with the sun. This movement needed to be discerned from a visitor’s typical movement . For the “Are We There Yet?” installation, we used a PointGrey FireFlyMV camera with a wide-angle lens. The camera was situated a couple hundred feet away from the control computer, so we used a USB-to-Ethernet range extender to communicate with the camera. We installed a color camera in a gallery in the Contemporary Jewish Museum in San Francisco, CA. We used Meyer Sound speakers with a high-end controller system, which enabled us to “position” sound in the space and to sweep audio tracks around at (the computer’s programmed) will. The Meyer Sound D-Mitri platform was controlled by the computer with Open Sound Control (OSC). This view of the Yud Gallery is from the perspective of the computer running the analysis. 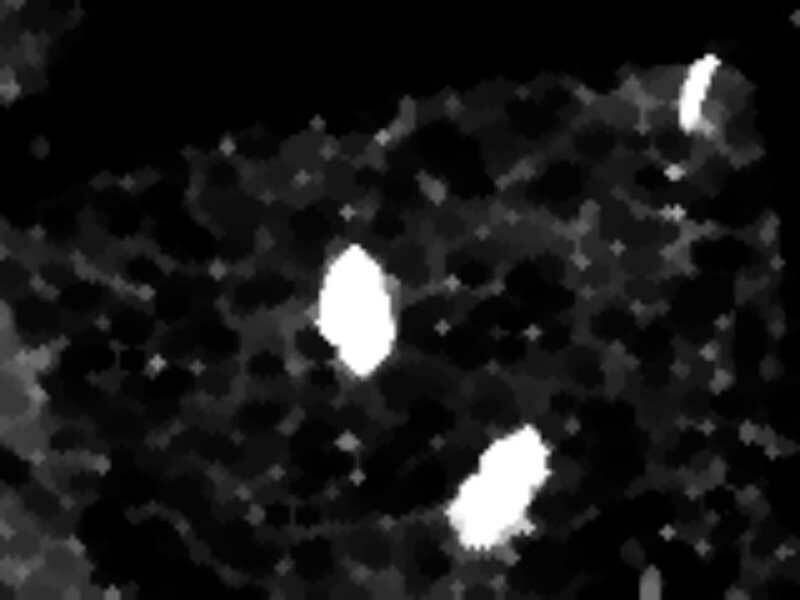 This is a probabilistic view, where the brightness of each pixel represents the “belief” that the pixel is part of an interesting foreground object, such as a pedestrian. Note the hot spots corresponding nicely with the locations of the visitors in the image above. The hard work was to then program the computer to discern humans from floors, furniture, shadows, sunbeams, and cloud reflections. The gallery had many skylights, which made the lighting very dynamic. Then, I programmed the computer to keep track of people as they moved and found that this dynamic information was itself useful to determine whether detected color-perturbance was human or not. Once complete, the experience of the installation was beautiful, enchanting, and maybe a little spooky. The audio tracks were all questions (e.g., “Are we there yet?”) and they were always spoken near you, as if addressed to you. They responded to your movement in a way that felt to me like dancing with a ghost. You can watch videos about the installation at www.are-we-there-yet.org. The “Are We There Yet?” project opens itself up to possible use as an embedded system. I’ve been told that the software I wrote works on iOS devices by the start-up company Romo (www.kickstarter.com/projects/peterseid/romo-the-smartphone-robot-for-everyone), which was evaluating my vision-tracking code for use in its cute iPhone rover. Further, I’d say that if someone were interested, they could create a similar pedestrian, auto, pet, or cloud-tracking system using a Raspberry Pi and a reasonable webcam. I may create an automatic cloud-tracking system to watch clouds. I think computers could be capable of this capacity for abstraction, even though we think of the leisurely pastime as the mark of a dreamer. NAN: Some of the projects you’ve contributed to focus on switched linear systems, hybrid systems, wearable interfaces, and computation and control. Tell us about the projects and your research process. ANDREW: I think my research is all driven by imagination. I try to imagine a world that could be, a world that I think would be nice, or better, or important. Once I have an idea that captivates my imagination in this way, I have no choice but to try to realize the idea and to seek out the knowledge necessary to do so. For the wearable wireless accelerometers, it began with the thought: Wouldn’t it be cool if dance and music were inherently connected the way we try to make it seem when we’re dancing? From that thought, the designs started. I thought: The project has to be wireless and low power, it needs accelerometers to measure movement, it needs a reasonable processor to handle the data, it needs MIDI output, and so forth. My switched linear systems research came about in a different way. As I was in class learning about theories regarding stabilization of hybrid systems, I thought: Why would we do it this complicated way, when I have this reasonably simple intuition that seems to solve the problem? I happened to see the problem a different way as my intuition was trying to grapple with a new concept. That naive accident ended up as a publication, “Stabilization of Planar Switched Linear Systems Using Polar Coordinates,” which I presented in 2010 at Hybrid Systems: Computation and Control (HSCC) in Stockholm, Sweden. NAN: How did you become interested in electronics? ANDREW: I always thought things that moved seemingly of their own volition were cool and inherently attention-grabbing. I would think: Did it really just do that? How is that possible? Andrew worked on this project when computers still had parallel ports. 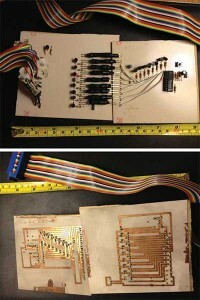 a—This photo shows manually etched PCB traces for a digital EKG (the attempted EEG) with 8-bit LED optoisolation. The rainbow cable connects to a computer’s parallel port. The interface code was written in C++ and ran on DOS. b—The EKG circuitry and digitizer are shown on the left. The 8-bit parallel computer interface is on the right. Connecting the two boards is an array of coupled LEDs and phototransistors, encased in heat shrink tubing to shield against outside light. Electric rally-car tracks and radio-controlled cars were a favorite of mine. I hadn’t really thought about working with electronics or computers until middle school. Before that, I was all about paleontology. Then, I saw an episode of Scientific American Frontiers, which featured Alan Alda excitedly interviewing RoboCup contestants. Watching RoboCup [a soccer game involving robotic players], I was absolutely enchanted. While my childhood electronic toys moved and somehow acted as their own entities, they were puppets to my intentions. Watching RoboCup, I knew these robots were somehow making their own decisions on-the-fly, magically making beautiful passes and goals not as puppets, but as something more majestic. I didn’t know about the technical blood, sweat, and tears that went into it all, so I could have these romantic fantasies of what it was, but I was hooked from that moment. That spurred me to apply to a specialized science and engineering high school program. It was there that I was fortunate enough to attend a fabulous electronics class (taught by David Peins), where I learned the basics of electronics, the joy of tinkering, and even PCB design and assembly (drilling included). I loved everything involved. Even before I became academically invested in the field, I fell in love with the manual craft of making a circuit. NAN: Tell us about your first design. ANDREW: Once I’d learned something about designing and making circuits, I jumped in whole-hog, to a comical degree. My very first project without any course direction was an electroencephalograph! I wanted to make stuff move on my computer with my brain, the obvious first step. I started with a rough design and worked on tweaking parameters and finding components. In retrospect, I think that first attempt was actually an electromyograph that read the movements of my eye muscles. And it definitely was an electrocardiograph. Success! Someone suggested that it might not be a good idea to have a power supply hooked up in any reasonably direct path with your brain. So, in my second attempt, I tried to make something new, so I digitized the signal on the brain side and hooked it up to eight white LEDs. On the other side, I had eight phototransistors coupled with the LEDs and covered with heat-shrink tubing to keep out outside light. That part worked, and I was excited about it, even though I was having some trouble properly tuning the op-amps in that version. ANDREW: Augmented reality goggles. I’m dead serious about that, too. If given enough time and money, I would start making them. I would use some emerging organic light-emitting diode (OLED) technology. I’m eyeing the start-up MicroOLED (www.microoled.net) for its low-power “near-to-eye” display technologies. They aren’t available yet, but I’m hopeful they will be soon. I’d probably hook that up to a Raspberry Pi SBC, which is small enough to be worn reasonably comfortably. Small, high-resolution cameras have proliferated with modern cell phones, which could easily be mounted into the sides of goggles, driving each OLED display independently. Then, it’s just a matter of creativity for how to use your newfound vision! The OpenCV computer vision library offers a great starting point for applications such as face detection, image segmentation, and tracking. Google Glass is starting to get some notice as a sort of “heads-up” display, but in my opinion, it doesn’t go nearly far enough. Here’s the craziest part—please bear with me—I’m willing to give up directly viewing the world with my natural eyes, I would be willing to have full field-of-vision goggles with high-resolution OLED displays with stereoscopic views from two high-resolution smartphone-style cameras. (At least until the technology gets better, as described in Rainbows End by Vernor Vinge.) I think, for this version, all the components are just now becoming available. Augmented reality goggles would do a number of things for vision and human-computer interaction (HCI). First, 3-D overlays in the real world would be possible. Crude example: I’m really terrible with faces and names, but computers are now great with that, so why not get a little help and overlay nametags on people when I want? Another fascinating thing for me is that this concept of vision abstracts the body from the eyes. So, you could theoretically connect to the feed from any stereoscopic cameras around (e.g., on an airplane, in the Grand Canyon, or on the back of some wild animal), or you could even switch points of view with your friend! Perhaps reality goggles are not commercially viable now, but I would unabashedly use them for myself. I dream about them, so why not make them?